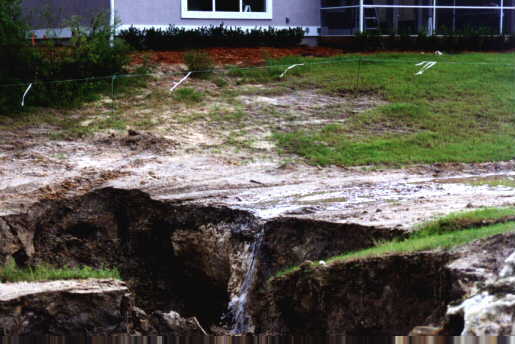 Soil & Foundation Engineers, Inc.
A few of 64 sinkholes which opened recently on one site in North Florida within 24 hours after heavy rains. 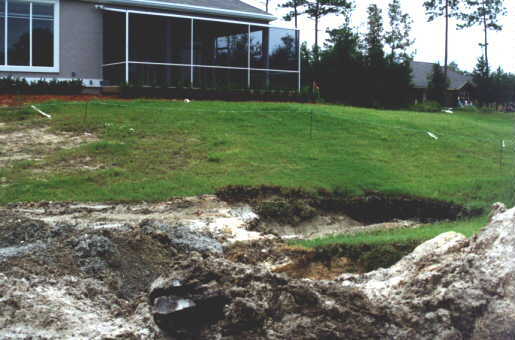 Sinkholes 30 feet downhill from new home overlooking country club golf course. 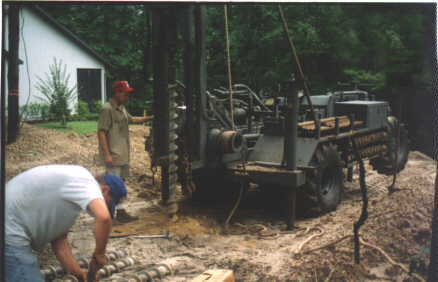 Drilling on sloped house lot. 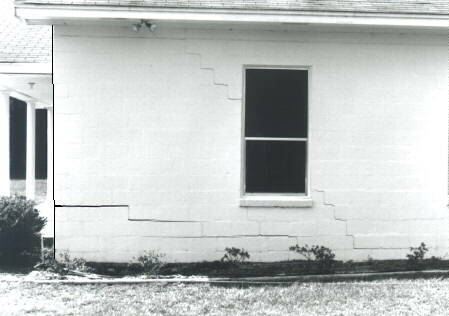 Sinkhole damaged foundation and structure. 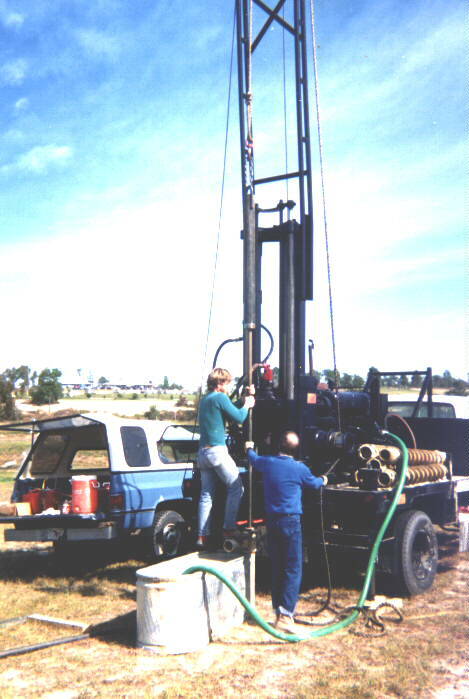 E-mail to " SAFE "